False "arks" showing up everywhere! Mr & Mrs Atheist: What say ye now?! Ever notice how evolutionists will manipulate reality to try and do away with creationism? For example, when you ask an evolutionist how they come up with the age of the sedimentary layers in the earth, they will always tell you they date them by the fossils found in those sedimentary layers. Then when you ask them how they come up with the age of the fossils, they say their age is determined by which sedimentary layer of rock they're found in. But how can that be? How can the rocks date the layers, if the layers date the rocks? That's what's called "circular reasoning." One minute they say the rock determines the age of the fossil, the next they say the fossil determines the age of the rock. Darwin said "It is a truly wonderful fact. that all plants throughout all time and space should be related to each other." -The Origin of the Species p 170. The evolutionist agrees with Darwin and says all life on earth evolved from primordial soup, which then somehow formed into many different species like birds, animals, plants, fish etc; and those birds, animals, plants and fish evolved into many different types of species themselves. For example, they believe a bird later formed different types of lizards, horses and dogs. They also believe that plants created everything from vines to trees to flowers, and fish evolved into dinosaurs, apes and humans. If that's true, then I have to ask the evolutionist why is it for the last 6000 years of recorded history that not a single new species has ever been created? Scientific fact is, we still have many of the old species among us, and we know of many that did in fact become extinct. But not a single bird has been found that used to be a fish. And not a single bird has been found that is related to a lizard. If life truly evolves like they say it does, why did it all of a sudden stop dead in its tracks 6000 years ago? After all, if life is as they define it to be, then it must be a constant evolutionary process for life to continue, which means that evolutionary process be never ending. Some have claimed that mutations are evolution because of some moth that changed its color years ago. Real scientists discovered that the moth changed its color because of its environment. In other words, if just changing its color means they evolved, then that must mean that every time I work in the garden and get a tan I'm actually evolving? And by the way, I say 6000 years because as Christians we know by reading Genesis chapters 1 & 2 that our Lord created all that is seen and unseen in creation week 6000 years ago. We also know this is when creation stopped and He hallowed the day He rested. We call that day Sabbath to this day and we keep it holy to acknowledge Him as our Creator every seventh day. Could it be this is why Satan inspired Darwin with evolution? I believe so because evolution allows you to hide the fact you were created and in so doing removes your requirement to acknowledge Him as Lord which would mean you need to and obey Him since He truly would know what's best for you seeing how it is He that made you. Getting back, the evolutionist believes the evolutionary cycle is never ending, but they too cannot explain why according to their Darwin inspired calculations that there has been no new species recorded for hundreds of millions of years, let alone the true 6000 years as reality dictates. They also state it takes billions of years for each animal, insect or plant to evolve. If that's true, why do we have termites? Termites eat wood but can't digest it. In their intestines are smaller insects that digest the cellulose the termites place in there for them. Kind of like the worm inside the cricket. The termite can't exist without the smaller insect, and the smaller insect can't live without the termite. If evolution is true neither insect should be on this planet. There are even some that believe in Creation, but not the Bible version wherein it took only 6 days. These so called "Creationists" insist it took 1000 years for each "day" of creation because 2 Peter 3:8 says, "one day is with the Lord as a thousand years, and a thousand years as one day" If they aren't twisting that passage out of context and it is as they claim, why do we have wasps that rely on certain plants to lay their eggs within them to procreate. And if this is true, how do those plants survive without the wasp pollinating them? If the plants and the wasps were created thousands of years apart, how does the plant pollinate without the wasp, and how does the wasp procreate without the plant? That means the 1000 years for each day recorded in Genesis must be wrong by simply applying easy to research reality. Moving right alone, we have the big bang theory which declares a spinning dot of absolutely nothing exploded to form all the planets, stars, asteroids, black holes, quasars, nova's, and primordial soup found on earth. According to the scientific discovery called, "conservation of angular momentum", which actually means, if what's spinning in a clockwise manner explodes, everything flying off of it will explode in the exact same manner. That being the case, why is it 2 planets, and numerous moons orbiting many planets in our galaxy alone spin in a different direction than all the others. If their big bang theory was true, why is it those planets and moons appear to have come off of a different explosion? Were there two big bangs? Jumping ahead a bit, let's take a look at man for example. The Word of God says we were created with Human bodies that have organs that are designed to live forever. Science has recently proven that if we were to learn something new every second, we would take well over 3 million years to exhaust the memory capacity of our "post flood" brains. (Pre-flood brains were 3 times larger) Now keep in mind, no one learns something every second. They just calculated it that way to get an educated idea. Most will learn something new once a week or even once a month and later in life once every few months or so. That means the human brain, as small as it is now, can handle the data for literally billions of years. That being the case, we see that evolutionists also claim that all species evolve after there is a need for a change. So I have to ask, how is it possible for us to have a brain that could hold enough info to last over billions of years, when all we can live up to is 90 -100 years? If evolution is true, why haven't we evolved to age extremely slow so as to meet the requirements of our own brains, wherein we can live for an eternity? When you get time I would like to ask you to view a video of a scientific experiment wherein they show how sound waves can actually create visible light when they are directed towards a body of water. The video can be found online. It's titled, "What happens when you collapse an underwater bubble with a soundwave?" The link is found in box #4 of this sermon's notes. When you watch that video you will be amazed at how nothing but sound-waves pointed at water did in fact create light, just as the Bible dictates. Genesis 1:2-3, "And the earth was without form, and void; and darkness was upon the face of the deep. And the Spirit of God moved upon the face of the waters. And God said, Let there be light: and there was light." Ok.. Picture a sphere of water in Space. God literally SPEAKS and says, "Let there be light." That amazingly loud blast of sound causes the water to form a small bubble within it. Then that sphere of water collapses internally upon that bubble, and as we see in that video, "there was light" created at that exact moment. Better yet, the scientists also discovered there was an enormous amount of heat generated when that happened, and the method by which the heat arrives is what they deduce to this day is what caused our Sun to be formed in our Solar System. Pretty convincing argument for the creationist is it not? Ok.. let's talk dinosaurs. Were you aware that Tyrannosaurus Rex was not a meat eater? Yes, I am fully aware that every evolutionist, and Hollywood director insists that he was. But Christian scientists have recently discovered two things about T-Rex that proves we have all been lied to for quite some time. They found that the roots of T-Rex's teeth were only 2 inches deep. That means, had he bit into the hide of another dinosaur in his day he would have lost all his teeth. When you compare the size of T-Rex and the fact his roots were only 2 inches deep, he couldn't have possibly been able to break the hide of such animals as most evolutionists have him eating. His teeth would have broken off before he even broke the skin. Better yet, were you also aware that these same scientists took one of the teeth they dug up, cut it in half, and they actually found the teeth to be gorged with chlorophyll all the way to the center of the tooth. This confirms he never ate meat. Ever. Now because this evidence is so well known now among scientific circles, evolutionists know they cannot say it's not true. The data has been published, and they were caught in a lie. But to try and cover the lie, some evolutionists now claim his teeth are gorged with chlorophyll because he ate dinosaurs that were vegan. Problem with that theory is, it still doesn't negate the fact that the teeth of T-Rex only had roots that went 2 inches deep, which would still make it impossible for them to eat meat. Still, the Christian scientists also offered data that showed the teeth of modern day animals that eat only herbivores. That's right, their teeth had absolutely no chlorophyll in them. By the way, this discovery concerning T-Rex also validates the Biblical record once again! Before the flood of Noah, which is when evolutionists claim dinosaurs roamed the earth, and they also claim no man was alive then, we have a Bible verse that declares they were not originally designed to be meat eaters. Genesis 1:30, "And to every beast of the earth, and to every fowl of the air, and to every thing that creepeth upon the earth, wherein there is life, I have given every green herb for meat: and it was so." Still, some claimed this to be impossible by using mankind as an example. They claimed that we as humans must eat meat to receive the proteins found in meat to grow big and strong. They claim that without meat we couldn't gain weight or become strong enough to sustain life. Besides the fact that you can actually find much more protein in some plant life than you will ever find in meat, look around on planet earth for a moment. Look at all the HUGE animals like cows, horses, hippos, elephants, rhinos. etc. Or look at some of the ancient dinosaurs that evolutionists do admit were herbivores, like the brontosaurus or thunder lizards that were the largest mammals ever to walk the earth. All of them were herbivores! How did they get so big? How is it the elephant, giraffe or hippos, just to name a few, are so large yet they never eat meat? Now I would like to get into a few scientific facts I found that can do a much better job and confirming what I saw. After all, I'm no scientist. So, I would like to quote a few if you don't mind. As we know just by opening our educational science books, evolutionists have constructed the Geologic Column in order to illustrate the supposed progression of how "primitive" life forms into "more complex" systems we observe today. Problem with that assumption is. Furthermore, it was found that. And yes, "special creation" means a Creator had to have done this. Next we have. The decay of earth's magnetic field. One of the benefits of living in today's world is that we not only have ample evidence the magnetic field is diminishing, thanks to all the beached whales that migrate in accordance with the magnetic poles. We also have concrete evidence that it's shifting its position at airports. Just a few years ago most airports had to re-paint the numbers on their runways for the pilots who use them in their landing sequence. Those numbers represent the numeric position of true magnetic north and need to be entered into the plane's computer for landing safely. But since the poles are changing, they needed to recalculate. "Planes and their technology rely on the earth's magnetic fields to navigate around the globe safely. The shift this time has been so great, that Tampa International has had to close its main runway until January 13th, so that they can get everything changed, including taxi way signs, so that they can make sure the shift, has been accounted for." -art. Magnetic North Pole Shift Affects Airports. Fox News. Think about that. We now have scientific evidence that as little as 20,000 years ago our planet would have been a magnetic star had evolution been correct. Some scientists even claim it was as little as 10,000 years ago. Life cannot form or survive on or near a magnetic star because the properties of such an environment would cause the atoms that form our bodies, trees, animals, planet or even water and earth unable to adhere to each other. This one basic fact confirms all of evolutionary theory to be bad science at best. Next we have population statistics. In other words, if we are to believe the evolutionists, there would be so many people on earth right now that we would not be able to survive because every bit of farmland and every bit of open range where animals graze would be taken up by humans standing side by side. In fact, there wouldn't even be room enough for us to build homes or even walls between us. We would be that tightly packed. And not just on Earth, but that number suggests it would be this way on every planet in the Universe. And all this would happen within 41,000 years. I can't even contemplate how bad it would be if as evolutionists claim modern man came to be around 400,000 years ago. Ok, here's where it gets interesting. My favorite, radio halos that are still to this day found in samples of granite. This runs counter to evolutionary estimates of 300 million years for the granite crust to form. Recently there have been evolutionists online in newsgroups and on blogs that have claimed Polonium 214 doesn't exist. Main reason being is because they declare the Granite in the earth's crust took many hundreds of millions of years to form and finally cool down. Seeing how Polonium 214 takes less than a thousand of a second to expend all its half-lifes, they assume evidence of it can't possibly be found in granite. HOWEVER, if you click here you will see one of many online Scientific websites that list the element Polonium 214 to be found on Planet earth. On that page they share evidence that Polonium 214 is in fact a chemical profile that can and has been recorded by many scientists. Praise the Lord we have yet another factoid to prove evolution is a lie of Satan. What I like about the evidence unearthed on all this is that, even though they claim the granite took hundreds millions of years to cool, and polonium 214's half-life is only 0.000164 seconds, the fact those halos are seen clearly in every sample of granite the world over proves the granite had to have been created instantly without any cooling period as they claim. If the cooling period was even just one hour, the halo or circular shadow caused by the polonium would have been dissolved in the molten granite. But those halos are still very visible! Now we have human artifacts found throughout the geologic column. In other words, evolutionists claim mankind arrived at a certain time and therefore all evidence of humans can only be found in a certain layer in the geologic column. But this scientist, as well as hundreds of others, have proven evidence of man have been found in all periods, including those when dinosaurs roamed the earth. Next we have to ask the evolutionist about the helium content in Earth's atmosphere. That means, calculating by the actual content of helium in the atmosphere today, the planet can't possibly be older than 10,000 years. If it was much older as the evolutionist claims, all of us would suffocate due to the fact helium would be the main gas in the air today. Now we have the expansion of the space fabric itself to contend with. Psalms 104:2, "Who coverest thyself with light as with a garment: who stretchest out the heavens like a curtain:"
The biblical record confirms a recent creation as well as gives credence to the great distances we now see between the stars and planets in our present day. Now we have the obvious evidence of a designer in all living systems. I can't even contemplate a number that big! All I know is, if we were to place an atom for ever digit in that number alongside another atom, the entire Universe would become a very dense brick of matter that nothing, not even life or light itself could coexist. And finally, the design of the human brain. There are many other instances of creation that scientists have recently confirmed can only be the end result of intelligent design of course, but I felt that the few I compiled here would be enough to convince the scoffer to at least plant a seed of truth deep within the heart that one day may be the means by which our Creator God can actually introduce Himself to them. That is the hope and prayer of this ministry as well as that of every believer in the God of all creation. "Jim Cantelon sits down with Dr. John Sanford Author of: "Genetic Entropy and the Mystery of the Genome" --Truth can be so profound and so life changing when the one embracing it has the blinders of Satanic lies removed from the eyes to allow him to clearly see the facts on any given topic. Specifically when it comes to the origins and future state of mankind. In this short 8 minute video this Scientist proves using simple common sense as well as across the board well understood and acknowledged scientific fact that has been documented in the field of population genetics that evolution is a lie. In layman's terms; they have proven that the simple aging process of mankind was in fact started at the fall of Adam and Eve. Our genes, chromosomes and cells mutate at such a rate that eventually we die. Every human on earth understands that clearly. No debate there. The problem is, that most are unaware that our genetic mutation is also passed to our children in every single generation. Meaning... the human race will eventually come to complete and utter extinction due to the fact we are genetically dying as a race because of the prophesied death spoken to Adam by our Lord if in fact he chose to sin in Eden. Which as we know, he did in fact do just that. Not only does this prove evolution false. It proves mankind's origin is not billions or millions of years in the past; nor can it be hundreds of thousands or even tens of thousands of years old either. At the rate our genes, chromosomes and cells mutate confirms as the Bible proclaimed long ago, we were created 6000 years ago, and we will all eventually die. No ifs ands or buts about it. Sad thing is.. MANY scientists know this about the human race, but like the Pharisees of old, they hate Christ and His loving truths so much that they refuse to admit to the people what the science proves, and therefore the majority have no clue that even science itself boldly proclaims WE NEED JESUS! Above evidence is a summary of extensive research and studies of Dr. Carl Baugh director of the Creationists Museum in Glen Rose Texas. This evidence can be viewed in it's entirety at the CEM online website located at http://www.creationevidence.org This ministry wholeheartedly implores you to visit this website as soon as possible. In it you will find what is summarized below in graphic detail. This ministry strongly suggests purchasing the videos Dr Carl Baugh has to offer. Not only will they bless you and your loved ones with a greater understanding of your Creator God, they will also bless you will ample tools necessary in evangelising those still trapped in the lie of evolution. Amazing how mankind takes the credit for discoveries in Science that have been penned by God thousands of years ago! In the photo on the left taken in 1949 by Porcher Taylor it shows what is considered an "anomaly" of some sort. That is just a technical term stating something "out of place" has been noticed in this natural setting. The photo was finally released March 14, 1995 after Taylor requested it as such under the "Freedom of Information Act." The photo on the right was taken during a camping trip by two scientists in 1989. Notice the similarities of this photo to the one taken in 1949. The locations of the ark on the Mount are identical. However the ice has melted back a bit more in 1989 allowing for a better view of course. The photo on the bottom right is a zoomed in view of that same photo (top right) making Noah's ark a bit more visible. In the secret world of intelligence, it goes by the bland name of the "Ararat Anomaly." But former intelligence officials say soon-to-be-released U.S. spy photographs of the odd formation high on Turkey's Mount Ararat could reveal something far more explosive: the remnants of Noah's Ark, the ancient vessel from the Bible that safely preserved a pair of every creature on Earth in the midst of a global flood. "The pictures are real clear. You see the whole summit and lots of rock formations," said Dino A. Brugioni, a retired CIA photographic specialist who was directed to study the high-resolution photographs of the unusual Mount Ararat site two decades ago. A series of images snapped by a U-2 spy plane at the end of a 3,000-mile reconnaissance flight from what was then the Soviet Union to Turkey caught the attention of a photo interpreter in his section. 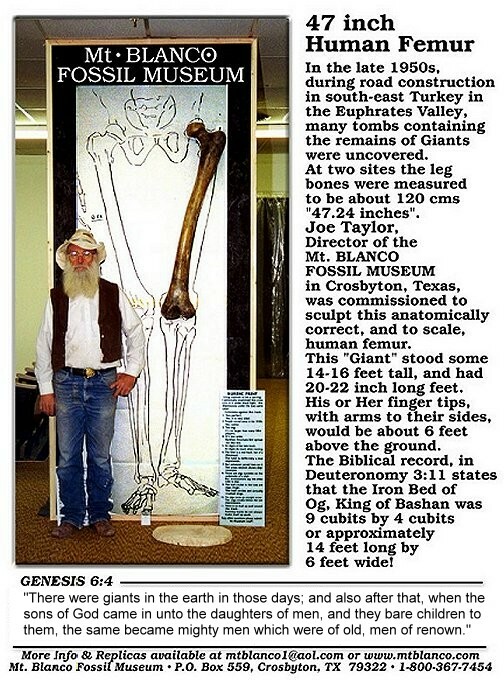 "We measured things, but none of them fell within the dimensions given in the Bible," he said. "If you didn't have the biblical dimensions in cubits, you could pick up those pictures and say they look like a ship. But when you measure it, it doesn't come out right. ... At no time did we say we saw an ark." For more than two decades, highflying U.S. reconnaissance aircraft and satellites routinely photographed the "Ararat Anomaly" site. But over the next few months, the CIA will begin releasing more detailed high-resolution spy pictures of the distinctive formation near the summit. High-level U.S. government interest in the search for Noah's Ark led to a study by the CIA's National Photographic Interpretation Center (NPIC) of the Ararat Anomaly back in the 1970s, and the Defense Intelligence Agency conducted a second, more recent analysis. God then made it rain for 40 days "and the waters increased and bore up the ark and it rose high above the earth ... so mightily upon the earth that all the high mountains under the heavens were covered," the Bible says. 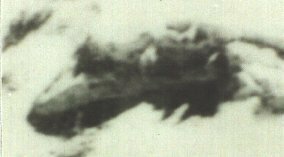 According to the CIA, the U-2 photographs of the Ararat Anomaly will be released in the next few months as part of a batch of hundreds of thousands of spy photographs taken on U-2 and SR-71 spy plane missions between the 1950s and mid-1970s. CIA spokesman Tom Crispell said the release of the U-2 photographs will contain pictures of the Ararat Anomaly. But other photos taken by KH-9 and KH-11 high-resolution spy satellites are not likely to be made public any time soon, intelligence sources said. 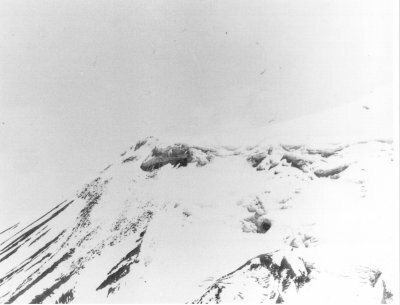 Getting the public to see the photographs of Mount Ararat has been a four-year quest for Porcher L. Taylor III, a University of Richmond professor who first heard rumors about the spy pictures of Noah's Ark as a cadet at West Point in 1973. "Although it is remote that the Ark could survive for 4,500 years in a moving glacier, some CIA photo interpreters have not ruled this out," Mr. Taylor said. "It doesn't really matter what the anomaly may be," he added. "The CIA has photographic evidence that can shed light on the enduring mystery of Mount Ararat, and it has a duty to the public, archaeology and the scientific community to release all of its Ararat Anomaly file, be it photos of a bunch of rocks or a nautical structure of unknown origin." Jews and Christians shouldn't be the only ones interested, the professor said. The Quran also mentions the Ark, and several ancient historians, dating back to 275 B.C., have written of a vessel and timbers from a ship being spotted near the summit. Mr. Taylor said his interest in the formation increased when the late George Carver, a respected top CIA official, told a gathering in Florida several years ago "that there were clear indications that there was something up on Mount Ararat which was rather strange," according to a transcript of his remarks. Since then, Mr. Taylor has mounted a concerted campaign to win the release of the aircraft and spy satellite photos under the Freedom of Information Act. The effort bore fruit when the Defense Intelligence Agency in 1995 released aerial photographs of the curved formation located about 1 and a half miles below the western summit of the almost 17,000-foot peak. The photos were taken by an Air Force plane on June 17, 1949. The DIA also produced an analysis of the anomaly for Mr. Porcher using the images and a composite "stereo enlargement." The report described the unusual site as a combination of shadows, ice and snow. "The accumulated ice and snow along this precipice obviously fall down the side of mountain at frequent intervals, often leaving long linear facades," the report says. "It appears that the 'anomaly' is one of these linear facades in the glacial ice underlying more recently accumulated ice and snow. "Further, the tone and texture of the 'anomaly' and avalanche debris immediately below are consistent with that of the shadowed snow, ice and debris prevalent along the face of the precipice." But other former intelligence officials said later photographs, including those produced by the KH-11 series of spy satellites, provide better views. A former high-ranking U.S. intelligence official who has seen a satellite photograph of the site produced around 1973 said analysts at the time were surprised when close-ups revealed what looked like three large curved wooden beams -- resembling part of the hull of a boat -- protruding from the snow. "They sort of curved over and formed up what would have been the bow of something or other poking out of the ice," the former official said, speaking on the condition of anonymity. Enlargements of the spy photographs also produced what appeared to be "striations" on the formation that gave the appearance of what was once wood, he said. One analyst wanted to believe "very badly" that the structure in the photographs was Noah's Ark, but other interpreters prevailed in concluding "it was just rock," he said. "I was skeptical on the advice of my experts," he added. "But I have felt from the beginning the thing ought to be looked at more carefully. It's worth looking into." The search for the ark on Mount Ararat has been greatly complicated after the Turkish government closed off the area to visitors, Mr. Taylor said. The government cited problems with Kurdish rebels and the site's proximity to borders with Iran and Armenia. In 1991, five archaeologists near the mountain were kidnapped by Kurdish rebels -- the same year the Turks closed Mount Ararat to outside visitors. The mountain is permanently snow-capped and is often covered in clouds. The peak rises 16,945 feet and is located not far from the Armenian and Iranian borders. Copyright, 1997 News World Communications, Inc.
Why Haven't We Found Civilizations Older Than 7,000 - 8,000 years? VIDEO~ God created the earth as a formless void of water. HE SAID "let there be light." Can sound waves directed at water cause light? See this video! Bigfoot? How about a fossilized giant foot? VIDEO~ The Terrifying Message within DNA! And they say we evolved by chance? If so, explain this! Roman Catholic Church invented BIG BANG theory!! Fingerprints of Creation powerful site!! VIDEO~ Best Creationist video ever! Guess who still believes in a flat earth. What happens when you collapse an underwater bubble with a soundwave? Creation evidence museum - dr. Carl baugh NOTICE! Dr Carl Baugh is not a Sabbath keeper. His science is truth, but his theology is not. VIDEO~ They found BONES not fossils! Discuss this in POGM Audio Conference?